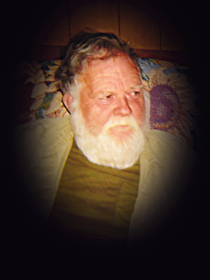 Obituary for Nathan Ray Brady | Davie Funeral Service, Inc.
Nathan Ray Brady, 69, passed away Tuesday, February 5, 2019, at the V.A. Medical Center Hospice Home in Salisbury. A native of Chatham County, NC, he was born December 18, 1949, the son of the late Purfoy Brady and Sadie Ruth Jones Brady. He graduated from Chatham Central High School with the Class of 1968. He served his country in the United States Army. He is survived by his wife, Carol Jean Daniel Brady; two sons, Steven Brady (Sheri) and Cleveland Brady, both of Bear Creek, NC; three daughters, Renee Marshall of Black Mountain, NC, Angela Scott (Lee) of Salisbury and Michelle Smith of Mocksville; one brother, Gurney A. Brady (Nancy) of Bennett, NC. Six grandchildren, two great grandchildren and two step-great grandchildren also survive. In addition to his parents, he was preceded in death by a sister, Mary Frances Brady Purvis and his step-father, Eric Brightorm. Nathan’s occupation was that of an electrician. He worked with Trademen International in Greensboro for 20 years. He was a member of Liberty United Methodist Church. His hobbies included shooting, fishing, going to yard sales and flea markets. The Celebration of Life Service will be conducted at 12:00 noon Friday, February 8, at Liberty UMC with Rev. Steve Rainey officiating. The family will receive friends at the church one hour prior to the service. Memorials may be given to Liberty UMC, 141 Liberty Circle, Mocksville, NC 27028. Davie Funeral Service is assisting the Brady family. Condolences may be posted online at www.daviefuneralservice.com.